Since 1993, I’ve been traveling the world (United 1K, 2 Million Mile Flier) and writing books (ten if you count second and third editions) and articles about how wonderful the Internet is. I spent years trying to explain how this is the greatest thing since sliced bread. Somebody finally asked me, “How much better than sliced bread is it?” and I knew I needed to come up with an answer. I had been presenting at Internet World conferences all over the planet and was always intrigued by Matt Cutler’s presentations. He was the founder of NetGenesis (purchased by SPSS) and always sparked some new thought or two whenever he did his PowerPoint thing. After several years of seeing each other present, Matt and I finally had the chance to sit down over dinner at an Internet World in Sydney. We were determined to figure out some way to do business together and we hit on the road show — the classic, half-day seminar where you trot out the ‘leading expert’, give a product demo and then jump on a plane to the next city to do it again. On the road and on the path to going public, Matt asked me to co-author a white paper called “E-Metrics – Business Metrics For The New Economy”. That led to a book called Web Metrics , which led to this conference. The book came out just in time for the first Emetrics Summit. I could see the potential and wanted to bring together the best and the brightest. I wanted to see the big sparks fly when wildly intelligent people tackled an issue as new and exciting as the Internet had been back in 1993. The first eMetrics Summit in 2002 was very exciting. Everybody was thrilled to discover that they were not the only ones who understood the language and the possibilities and the difficulties. Back at the office, our enthusiasm was met with patronizing but blank smiles and our concerns were met with non-comprehension. The eMetrics Summit was a whole room full of people who shared the same hopes and fears and battled the same dragons. We had finally found kindred spirits. A whopping 50 people showed up for that very fundamental and very elegant meeting. Thirty of them were vendors, ten were consultants and ten from actual companies, actually trying to make sense of their website data. Matt Cutler, Rand Schulman, Josh James, Eric Peterson, Rufus Evison, Greg Drew, and 43 others spent all day together at the elegant Santa Barbara Biltmore. The discussions were so intense and the energy so high that we ended up closing the Lobby Bar both nights, only to start right back in again at breakfast. In 2003, it was every bit as exciting and still just a bit naive. We were all hoping that all of the answers to all of our problems would tumble out of these wonderful new web analytics tools. The focus was “Page Tags vs. Log Files”. The discussion was heated. New technologies were emerging in real time and the vendors paid very close attention to everything the practitioners and consultants had to say. It would take another year to realize we needed all the data we could get our hands on – that both logs and tags are necessary along with something new called packet sniffing. That was also the year that an additional eMetrics Summit showed up in – London. Presentations included appearances by Ken McGaffin and Mike Grehan and case studies from Argos and BP. 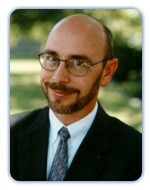 At the eMetrics Summit in 2004, the focus was on case studies. “We did A/B split measurements on landing pages and realized a 32% increase in subscriptions.” “We tied our email marketing campaigns to our funnel diagrams and were able to double the conversion effectiveness!” It was heartening to hear real results from proven, successful implementations. The 2004 conference was the birth place of the Web Analytics Association. Bryan Eisenberg, and Andrew Edwards called me to say it was time. We instigated the founding with the help of Greg Drew, Rand Schulman, Andrea Hadley and Seth Romanow. In 2005, people were asking about the technology and the case studies, but they also started showing an interest in how a web analytics organization works within a larger company. What’s the chain of command? Who should report to whom? How does the business side of the company learn about the value of web analytics? How do you take this technology that we’re getting comfortable with and use it to make business decisions? CBS, Dell, MSN, Hilton Hotels and Yahoo shared what they were up to and the web analytics industry got its first look at a young firebrand Senior Manager of Web Research & Analytics from Intuit named Avinash Kaushik. Back then, other consultants such as Jason Burby, Bryan Eisenberg, Neil Mason, and Jim Novo were more readily recognized. This was also the appearance on stage of a repeat attendee by the name of Eric T. Peterson. Eric, having cut his teeth at a website quality analysis company names WebCriteria and proven his chops at Webtrend, was then at JupiterResearch. Royal Mail, Carphone Warehouse, Lastminute.com and LOVEFiLM shared the stage with the cream of the crop of European consultants: Dr. Dave Chaffey, Mike Grehan, Neil Mason, Marc Saarde (then at Nordea Bank) and Matthew Tod. Santa Barbara, London, Munich and Washington D.C. hosted eMetrics Summits in 2006. That year, the focus was on integration. Multi-channel marketing and multi-channel data collection. How do I incorporate my web data with my direct sale information and my call center? How do I fold web analytics in with the rest of my business intelligence? A handful of companies talked about how the insights coming out of their web analytics tools were powerful enough to impact decisions the corporation made about offline marketing as well – a harbinger of things to come. The theme for 2005 had been “My Managers Don’t Understand Me”. We had proof that these tools and techniques could open a window into the hearts and minds of the marketplace but we needed to convince the powers that be to fund the needed tools and talent to make the most of the opportunity. The 2006 theme was “How We Measure Web Behavior to Guide Our Offline Business” and the eMetrics Summit itself took a sharp turn. It was no longer just the seminal event for web analytics insiders. This twice-sold-out conference had become a major destination for marketers and technologists of all stripes who wanted to improve the results of their online efforts and optimize their return on investment. That prompted me to consider changing the name and the focus for the following year. Additionally, prior attendees took to the stage to become an important and continuing part of the eMetrics community including Bob Page, Josh Manion and Steve Jackson. In 2007, the Emetrics Summit became the eMetrics Summit. It was celebrated in San Francisco, London, Düsseldorf, Stockholm and Washington D.C. The talk was no longer about clickthroughs and pageviews. Of course, everybody was still interested in tracking web visitor behavior, but the discussion included all the ways you can measure online success – and marketing success in general. Customer opinion and satisfaction, email marketing, search marketing, non-transactional metrics, Web 2.0 measurement, behavioral targeting and more were on the table. It was finally about marketing optimization and how online marketing has opened peoples’ eyes. Direct marketers had been doing statistical analysis all along, but they never got the recognition they deserved – until now. Six tracks overwhelmed the senses and presented a plethora of presentation possibilities. There was enough room to host a Who’s Who of the marketing analytics world bringing in Gary Angel, Akin Arikan, Tim Ash, Anil Batra, Vicky Brock, Bill Bruno, Joseph Carrabis, Bob Chatham, June Dershewitz, Andy Fisher, Bill Gassman, Andrew Goodman, Stéphane Hamel, Manoj Jasra, Alex Langshur, June Li, John Lovett, John Marshall, David Millrod, Katie Delahaye Paine, Aurélie Pols, Mark Ryan, Oliver Schiffers, Rachel Scotto, Robbin Steif, Jennifer Veesenmeyer and Daniel Waisberg. We started the whole thing off in 2008 with a Web Analytics Association Training Day followed by three days of conference with four or five tracks each and over 75 speakers. It was a much bigger, broader experience and companies were signing up four and five people each to cover all of the subject matter. Throughout this growth, the companies that presented grew in size and recognition. Barclays Bank, Bayer Schering, Best Buy, BP, BMW, Charles Schwab, Coke, Comcast, dunnhumby, eBay, Expedia, Hewlett Packard, Home Depot, IBM, Lloyds of London, Lufthansa, Microsoft, Monster, National Semiconductor, The New York Times, Nokia, PayPal, Siemens, Sony, Symantec, Toyota and WebEx. Andrea Hadley carried the torch and fired up another eMetrics Marketing Optimization Summit in Toronto. She expanded the content even further with a track called Integrated Marketing Optimization. Why? Because the web was no longer off in a corner by itself. It was becoming the hub of marketing. A corporate website was where advertising and promotions sent prospective customers. It was where people would offer up feedback as well as research and/or make purchases. Then everybody wanted to know where the ROI was. In 2009, measurement stopped being interesting, novel or cool, competitive edge stuff. That year, it was all about survival. Marketers had spent ten years learning to communicate with technologists in order to make their message sing, dance and interact. They’d spent three years learning how to actually converse with actual customers. 2009 was the year they had to speak fluent Marketing ROI in order to keep their jobs. I had spent eight years producing eMetrics which kept me from writing another book. Even though the economy was a disaster, everybody wanted to know how to measure the success of social media so Social Media Metrics hit the street – just in time for the first 2010 Summit in San Jose. Aside from social media being the Shiny New Thing, the main interest in 2010 was anything practical and tactical. We no longer had the luxury of Thinking Deep Thoughts – we had to execute. We had to prove the ROI or the investment would cease. This was the year of the example, the recipe, the playbook. The consultants and thought leaders took a back seat and we brought the brand practitioners forward. Dell, eBay, Expedia, IBM and Salsforce.com keynoted, explaining how their corporations had organized their testing, analytics and development teams into and within business units. Process management specialists were brought in to observe how marketing optimization professionals did their job and created structured process models with logical steps and process improvement metrics. The online marketing analytics industry was maturing. Then in its tenth year, the eMetrics Summit found the general economy still foundering. Unemployment was still high, housing still low and even the government was being forced to make draconian cuts. This combination of hard times and an ever-increasing reliance on the Internet finally got the attention of the highest levels of senior management. Integration of marketing messages across all touchpoints, targeted to dynamic market segments and the integration of data about the results became the order of the day. Advertising response across networks, social media opinions and influences, website clickstreams, buying behavior, CRM data and purchased demographics, psychographics and credit scores were coming together to help predict market place movement, drive personalization and create the Permanent Employment Act for chief privacy officers. In San Francisco, web analysts and web analytics thought leaders yielded the stage to marketing superstars (Guy Kawasaki), data super stars (Tom Davenport and Thornton May) and CMO’s (Cisco and Microsoft) for direction. In New York, the brands were back. (eBay, Expedia, IBM, Nissan) and the industry insiders who had been there and done that. The eMetrics Summit was joined in 2011 by Predictive Analytics World, the Conversion Conference, Text Analytics Word and GAUGE under the banner of Data Driven Business Week. This was a clear signal to those who would leverage their data for competitive advantage that their time had come. As the economy makes tentative movements in the right direction, we got organized, we got budgeted and we got scrutinized. But we’ve also got a new type of recognitionfrom top-level executives. We finally had the data, the tools and the opportunity to make a significant splash. And then, the world was introduced to the concept of Big Data. The Information Revolution had given way to the Communication Revolution and now, data made a comeback. More data (volume), more types of data (variety) and faster data (velocity) came together with new technologies that make analyzing petabytes possible. In 2013, the eMetrics Summit technology gained the spotlight in the guise of tag management and real time systems. These two elevated the data capture and utilization conversation. Tools were becoming more integrated, data streams more accessible and talented people were sharing more and more success stories. The eMetrics Summit (Leveraging Customer Data to Drive Business Strategy) shifted the conversation from the technical to the tactical to the strategic and back again. By the year 2014, most industries had at least stabilized and many had made serious economic improvements. But the one area nobody had successfully figured out was staffing. “Data Scientists” are all the rage and they are harder to find than unicorns. Companies realize they need a wide variety of talents that cannot be expected to live in one human. With tools in place, processes worked out and expectations rising, the human problem became the critical issue. Where do we find more brain power that can do the intuitive, creative, gut-feel work that confound computers? Multichannel/omnichannel metrics remain a tough challenge due to the overwhelming growth in mobile use. Privacy takes a spotlight as the European Union gets tough and data protection at home gets weak. Whose data is it anyway? 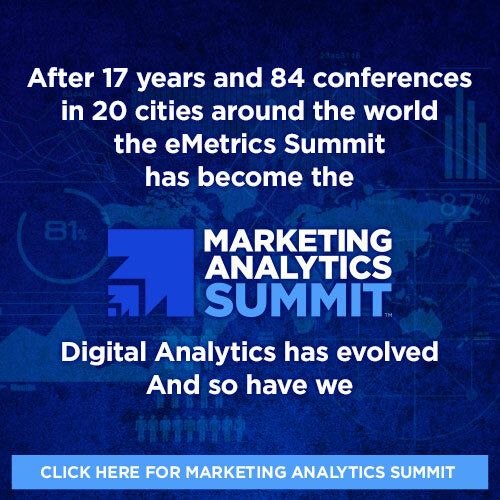 And, while we are still learning to master testing and test social media metrics, the eMetrics Summit remains a strong draw for those who want to make more and better decisions, informed by data rather than by a strategy of hope.